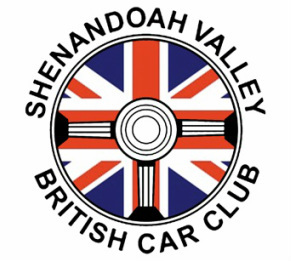 SVBCC will be hosting the 37th Annual British Car Festival on October 5 and 6. For complete details, please go to our website link above. You can register through the website. The Car Show will be Saturday, October 6th at Ridgeview Park in Waynesboro, VA. Awards will be given on the field. The car show is staged over several acres among the massive trees and lovely river views of Ridgeview Park in Waynesboro. The Skyline Drive, Shenandoah National Park, and Blue Ridge Parkway are a 10 minute drive from the show. It begins with a Welcome Reception on Friday, October 5th in the Pub Room at the Waynesboro Country Club. When you register for the car show, you can also make a reservation for dinner. Dinner reservations are not required to attend the Friday reception. The chef is preparing a special cook-out for this occasion. There will be a cash bar. The British Car Festival is always a special event...usually about 150 LBCs displayed in a beautiful setting...and enjoying the camaraderie of all our current and past members, local and visiting fellow enthusiasts! I really hope you will make an effort to be with us this year. First held in 1982, the SVBCC British Car Festival is among the oldest of its kind on the east coast. Over 150 entrants from more than 10 states participate each year. British DNA/ Kit Cars: DNA refers to vehicles with significant British linkage in styling, engineering, or manufacture. See www.svbcc.net for details and examples!